My quest is to eat healthy(ish) during the work week so that I can bake desserts on the weekend. 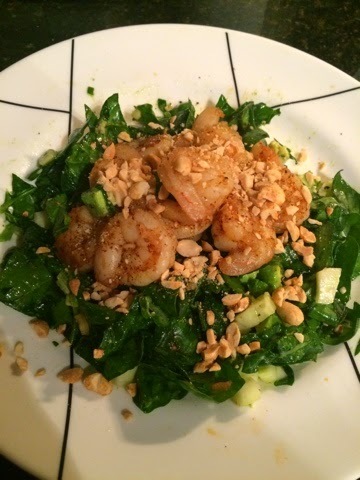 My latest, quick week night dinner is this spicy shrimp salad. Prep a salad base. I used spinach, English cucumber, scallions, and avocado. Dress with salt, pepper, and olive oil….or try a ginger sesame something from the store. It’s so simple! 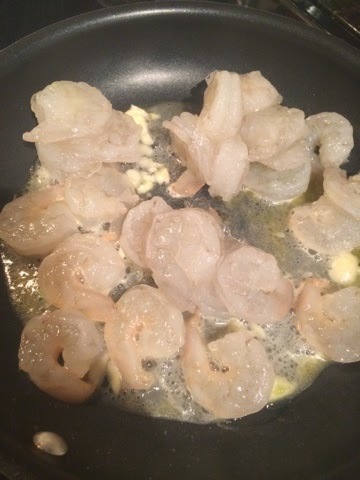 All you do is take a bit of butter, melt it with some garlic, and toss in some shrimp. Then, add two teaspoons of chili powder, or one tsp of chili powder and one tsp of cayenne pepper. Such color! 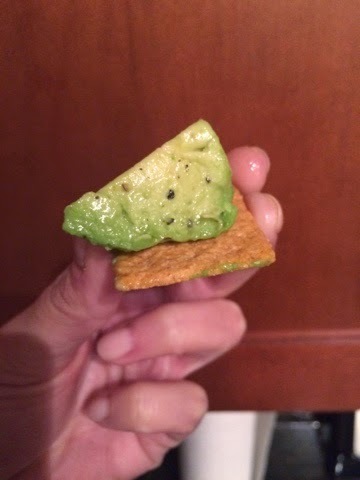 While your shrimp are taking just a few minutes to cook, why don’t you take a Wheat Thin and hunt around your salad for avocados that weren’t really chopped small enough to be salad worthy. Consume. Repeat 2-3 more times. 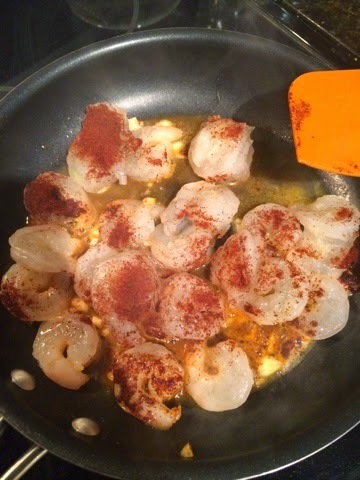 The shrimp is done when no longer translucent and have begun to brown. Take them off of the heat and place them artfully on top of your salad. 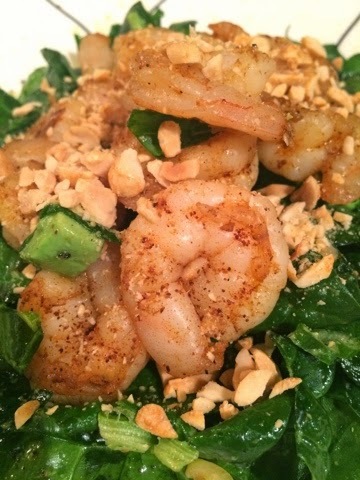 For extra crunch, sprinkle with chopped peanuts.